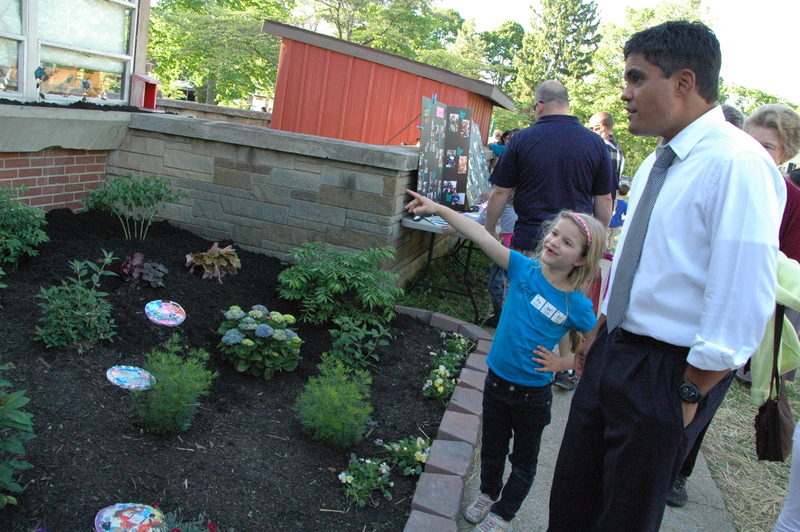 Mills Lawn Elementary Spring Exhibition Night at Mills Lawn, titled “A Beautiful Peace”, truly was an exhibition of exceptional elementary students’ learning! 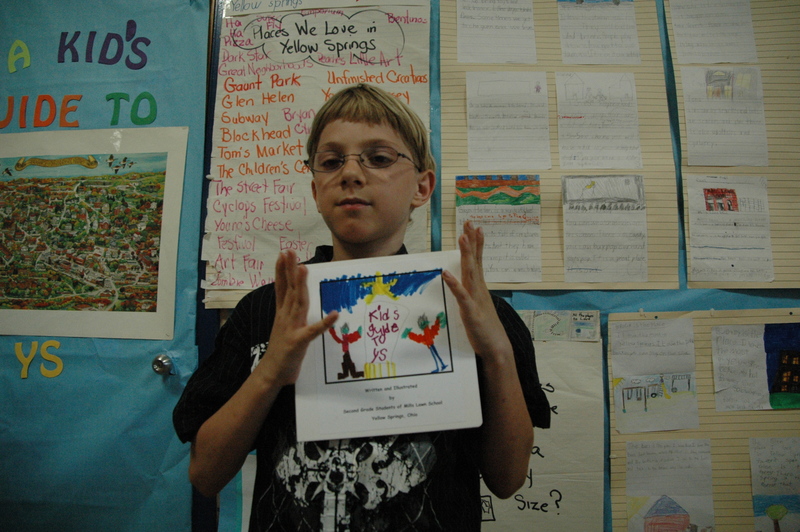 Around the school beautiful artwork from Mrs. Minehart’s art classes was displayed for students and families to see as they made their way from one exciting grade level presentation to another. 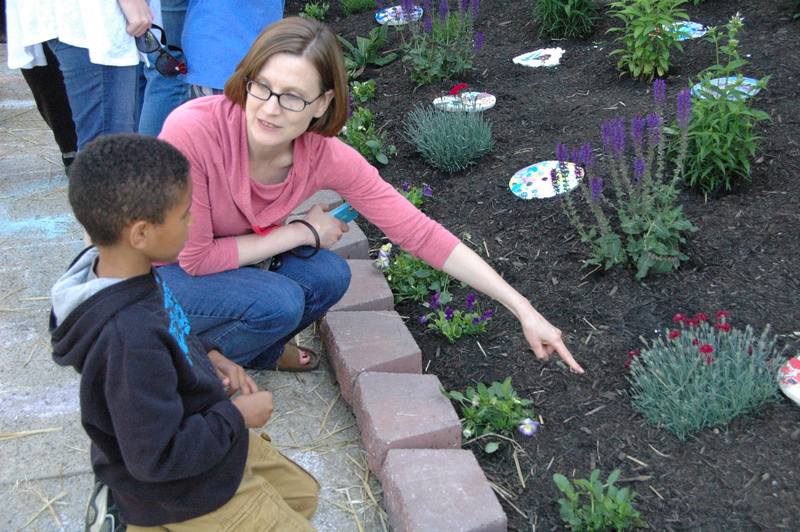 Kindergarten students shared their exploration of weather paired with the opportunity to interview a meteorologist from The Weather Channel and try their own hand at reporting, and first grade students worked collaboratively to choose, plan, and create a beautiful garden space in the front of the school. What a delightful and charming garden space complete with handmade stepping stones, sun catchers, and other garden treasures! 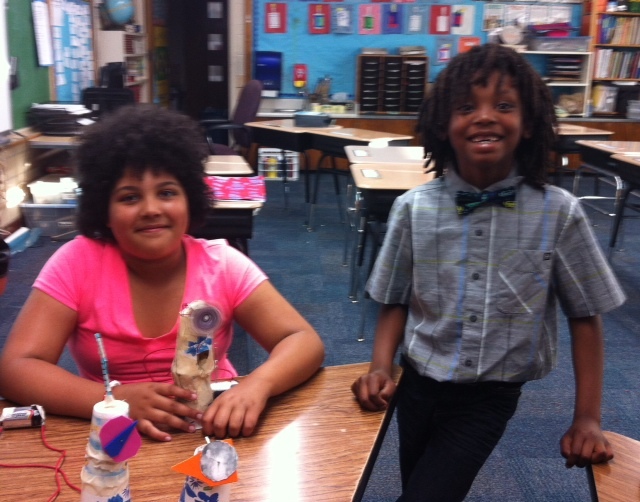 Ms. Mabra’s second grade students experimented with map making and created a Kids Guide to Yellow Spring, and Ms. Hoover’s second grade created a MLS Tree Map and a guide to common trees around the school. 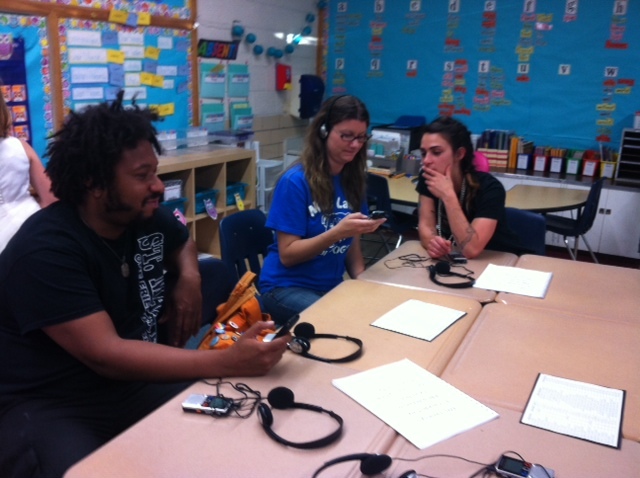 Mr. May’s and Ms. Liming’s third grade classes conducted community interviews and recorded community members’ stories to share. What a fascinating experience to sit down and listen to the voices of individuals in our community! 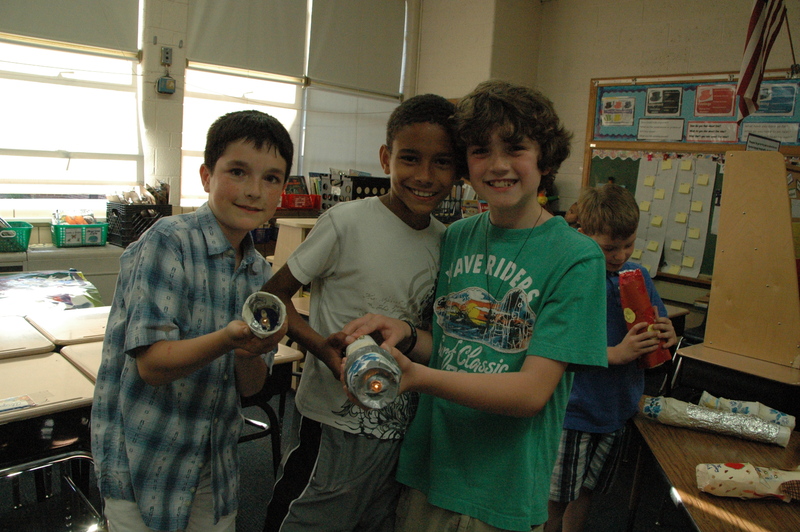 Mr. Trumbull’s students explored how circuits work to exchange energy and created their own flashlights. 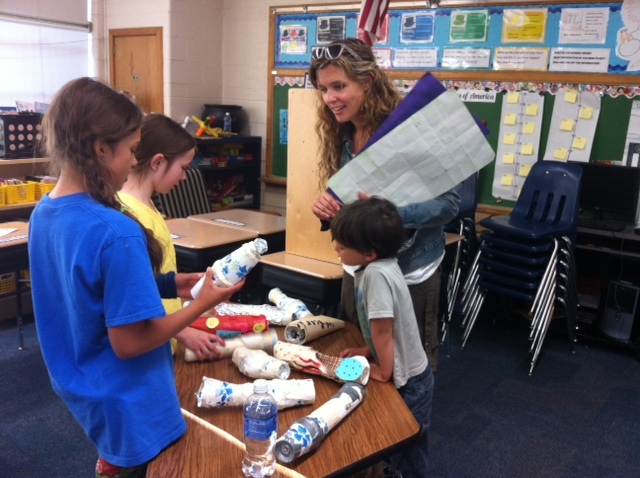 Students eagerly shared their process and enthusiasm for engineering demonstrating creativity and design thinking. 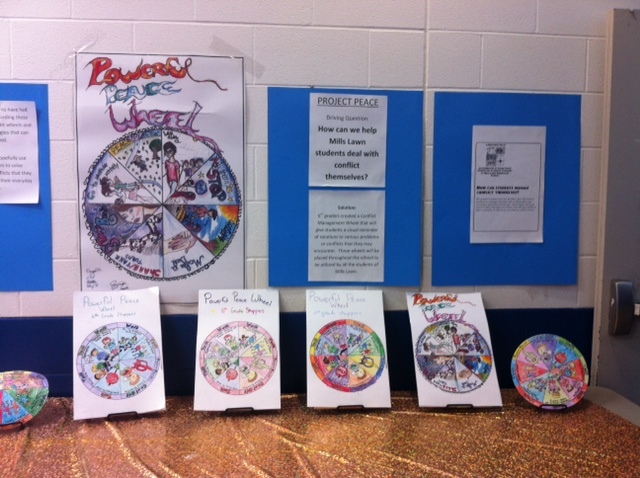 Sixth grade students explored conflict management skills and developed a Peace Wheel that provides clear examples of options to use when a conflict arises. 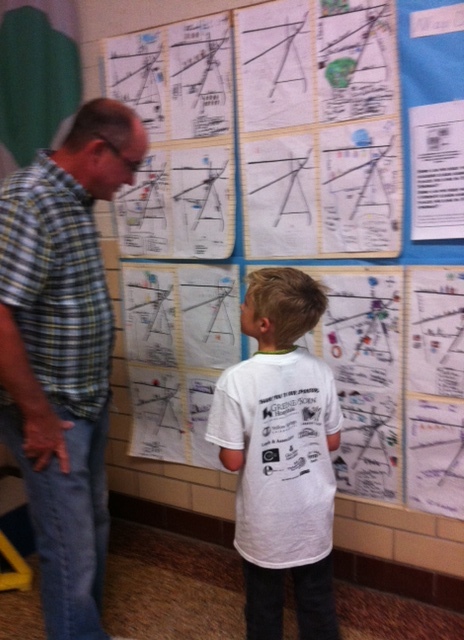 All of these excellent grade level demonstrations of Project Based Learning were on display during the Exhibition Night, with students eager to share more information about their learning process, experience, and outcomes. 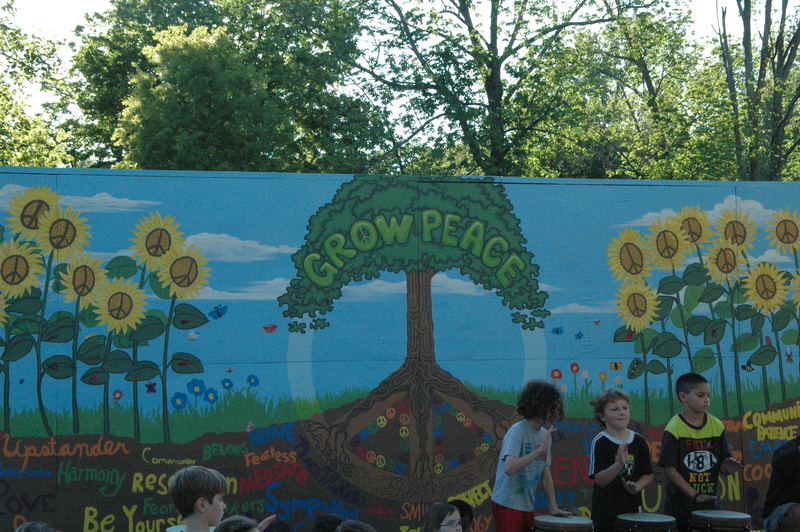 Another exciting component of Exhibition Night included the unveiling of the Grow Peace Mural led by Visiting Artist Tricia Tallman and the D.R.U.M. 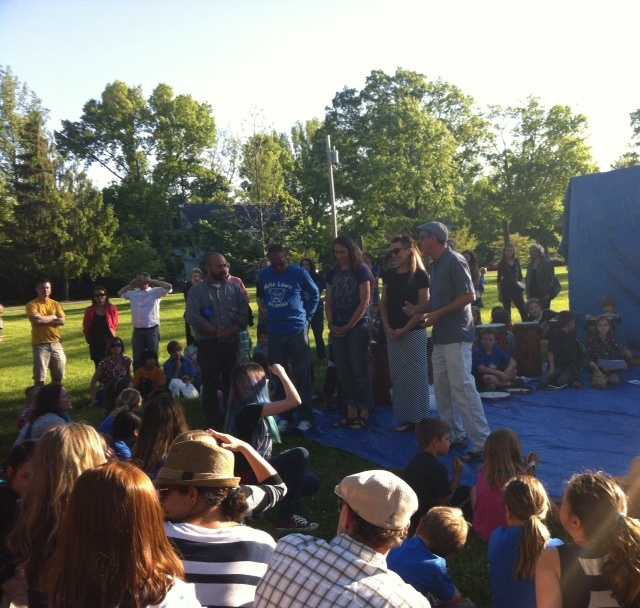 Performance by third grade students with Mrs. Reichert as part of Project Peace this spring. 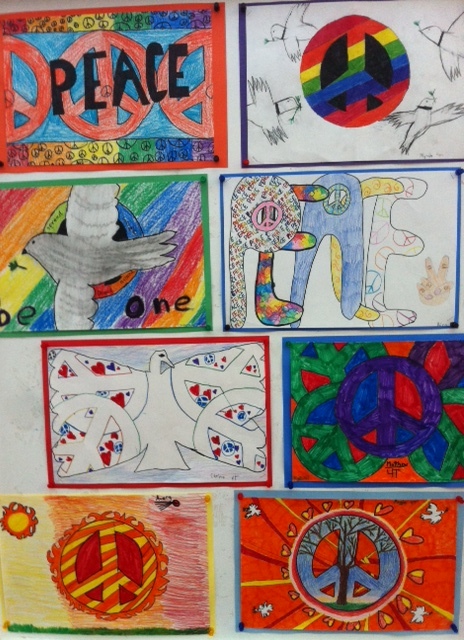 As the drum rolls gained momentum, the great big blue tarp was slowly pulled from the mural making visible the vibrant peace mural that sixth grade students created collaboratively to spread a message of peace. 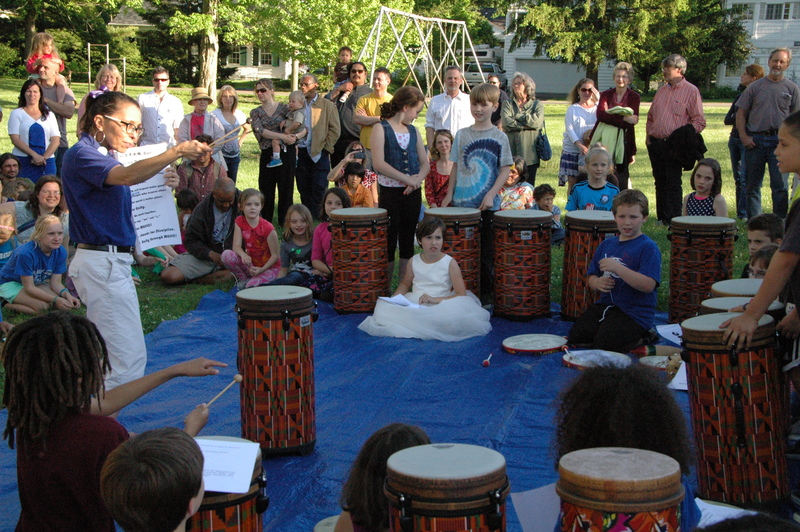 The third grade students, led by Mrs. Reichert, continued drumming on colorful congas pairing rhythms with vocal affirmations of peace, unity, discipline and mutual respect as a crowd of community and family members filled the lawn for the performance. 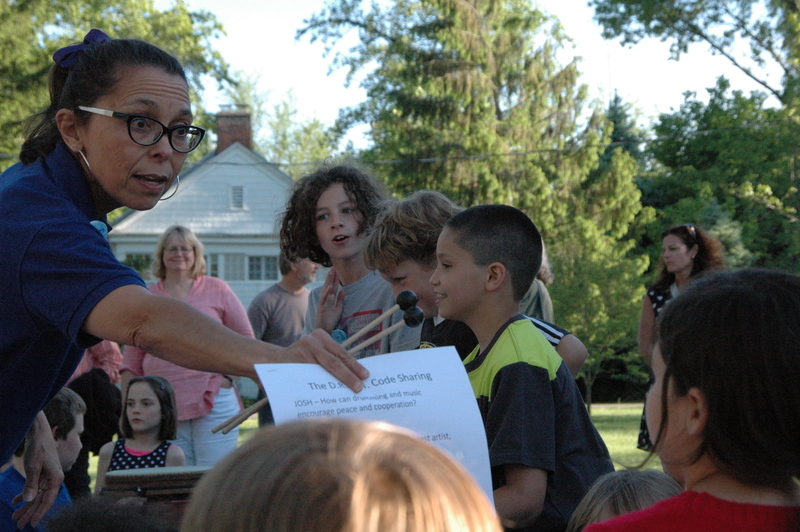 Thank you to students and teachers, parents, families, and community members who attended and contributed to a dynamic celebration honoring the curiosity, critical thinking, and deeply engaged learning that was a part of the school community at Mills Lawn Elementary this year!